Ok :-) the tutorial and my first ever printable PDF pattern is HERE!! Happy making!! I cant wait to see what you guys do!! Edit 3pm 29/07 ... ok I just realised long time readers of this blog may not 'get' this bag, lol, it had wraparound straps which make it easier to use when you're carrying a baby in a sling. And if you're carrying your baby on your front you can thread the straps through the side loops and tie together at the bottom to wear as a backpack! The eagle eyed among you will notice that this bag has side loops similar to the popular Onbag. If you've ever attempted to make an Onbag you will be able to see that the construction of this bag is entirely different. This bag has separate straps 'pieces' this means that the whole bag can be made out of 1 metre outer and 1 - 1-1 1/4 metre of lining fabric - this is substantially less than Onbag which requires you to make the strap, bag base and body out of a 3.5m length). This bag comes with a full printable PDF pattern. This will help you ensure you cut exactly the right shapes to construct your bag. 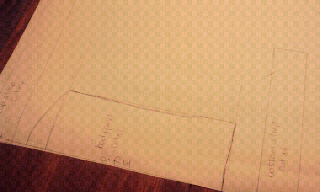 It will also make the bag easier to make for experienced sewists who are used to using paper patterns. This bag comes with a full printable PDF photo tutorial. There's also a full collection 65 of work-in-progress pics over at my flickr to guide you through every step of the way. This bag comes with a zip closure as standard. Fully explained in the tutorial, no meed to worry about sewing it, or keeping your belongings secure when out and about! This bag is designed for DIY'ers. 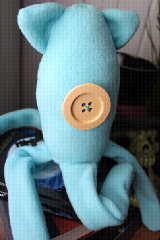 All you need to put this together is a sewing machine that does a regular straight stitch and a zipper foot. No endless rolled hems, promise! I got a bit excited about this one and forgot to actually post it on the blog... whoops! If you're not on my facebook page you should be! You'd know ALL about this if you did! I have a kind of blogging solipsism which means that I'm always more than mildly surprised when anyone actually reads my blog. 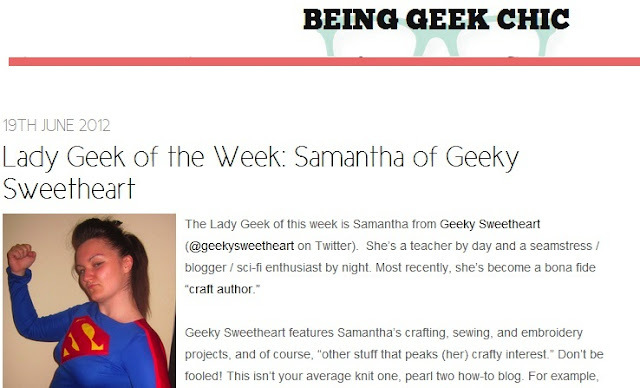 So thanks so much Being Geek Chic! I'm quite flattered! 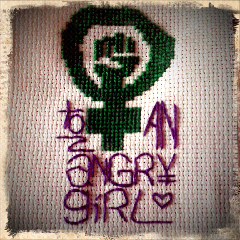 "not your average knit one, pearl two how-to blog"
"balance between your inner June Cleaver and self-proclaimed soul-sister Betty Friedan"
Anyhow, it does no one any good to focus on the negatives. Squiggle is doing fantastically well, he's 26.5lb! (that's BIIIG) he's got his two bottom teeth, he's crawling and standing up on furniture! So... see you soon with some content! 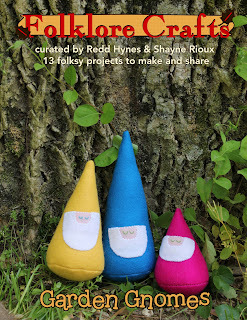 Folkclore Crafts - Blog Book Tour!!! Declaration of vested interest: I'm IN these freaking BOOKS!!! Welcome to any readers coming over from ﻿http://kathleendames.blogspot.co.uk/ ... pull up a chair! make yourself comfortable! I'm so excited guys! I've got a project in each of these books, the debut publications from fabulous publishing. 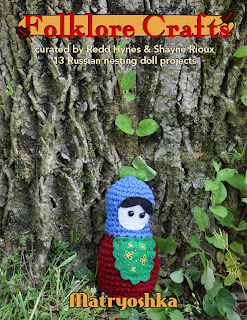 And read further for a chance to win Folklore Crafts Matryoshka! I've finally managed to get my hands on a smartphone ... I know, how bad is it that I'm so behind the times? !? Bad blogger.... anyhow,you can now look forward to more short, sharp updates .... hopefully! 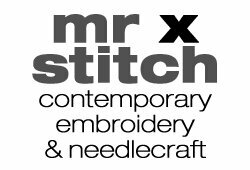 London Stitch and Craft Show! wish you'd known sooner? 'like' my page on facebook to get all the breaking news! This is something I've been mulling over for a while now... as soon as I HAD Squiggle all I wanted to do was to advise other would-be-mums how to do it. Help them benefit from my experience, tell them what I'd hoped someone would've told me... this is actually (sorry guys) a really destructive behavior. while you're trying to help people have the birth/parenthood they want, you will, no matter how hard you try, make others feel undermined, inadequate and failing. I'm really sorry if I made anyone feel like that. The overwhelming reason people give parenting advice is to recieve validation from others because deep down we're all petrified of 'doing it wrong and we find it difficult to believe that there are so many ways of doing it right. Infact our definition of right and wrong just doesn't seem to work that way does it? If we're doing it right, and someone else is doing it differently, they must be doing it wrong.... right?! The truth is worse than you can imagine. So let me give you this one piece of parenting advice. If you're loving your kid, and putting their needs first, you're doing it right. I love these, and I've learned a lot making them, they're a little rough around the edge, but who the hell cares, no one is going to get close enough to my smelly feet to notice!! haha! Idea: use embroidery hoops to store embroidery hoops! this is how I keep all of my embroidery hoops tidy and easy to find... yea... I've got a lot of them huh? So, ages ago (omg, a year ago, really?!) I made a russian doll taggie toy, you wouldn't know about it because, it seems, I completely forgot to blog it! (duh) but it is on craftster. Well, that taggie turned out to be useless, too big and heavy for little hands, so I've made a newer, better, faster, stronger one ( :-) ). It's pink and green, I'm loving that colour combo at the moment, what a difference a year makes eh? It's a collection of things I've learned over the last 5 months, don't worry, I'm still a craft blog. Crafting is still happening and documentation of said crafting will resume soon! 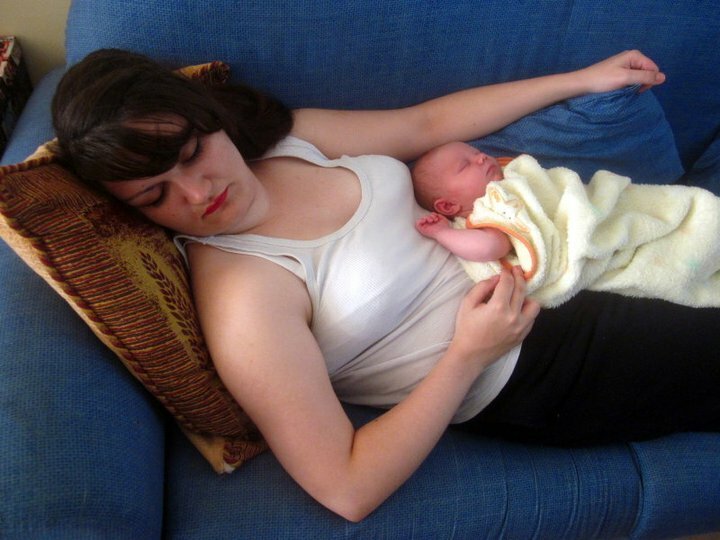 In labour, go without pain relief or other interventions as long as possible. You're stronger than you think. You'll thank yourself afterwards. 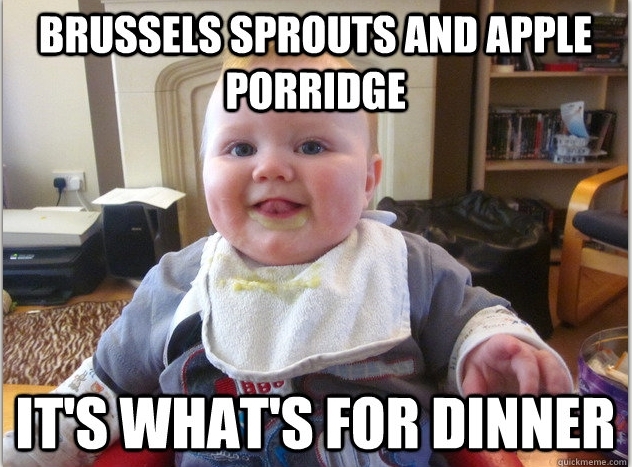 The point of labour is to take home a healthy, happy baby. Remember that if things don't go to plan. An episciotomy is not the worst thing that can happen. Before you give birth, find out about your local La Leche League group (or other local support groups) just in case you choose to breastfeed. 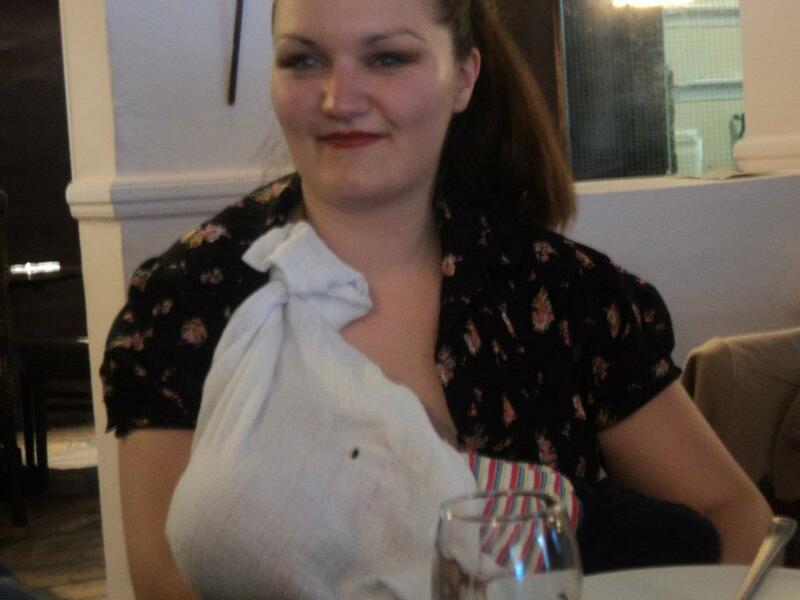 Even if you don't want to breastfeed consider putting your baby to the breast after giving birth. It will help your womb to contract, speeding your recovery, as well as giving the baby your immunity to the bacteria in his/her new environment. and hey, you can still change your mind! Do some research beforehand, go to an antenatal classes and know about the different stages of labour. When you get to the pushing stage. Try to push, hold the push to rest and then push again, instead of pushing, releasing the muscles and then pushing again (you will push several times in one contraction) A baby is kinda like toothpaste (bear with me here) if you release the muscle it gets sucked back in a little, making you work a lot harder. 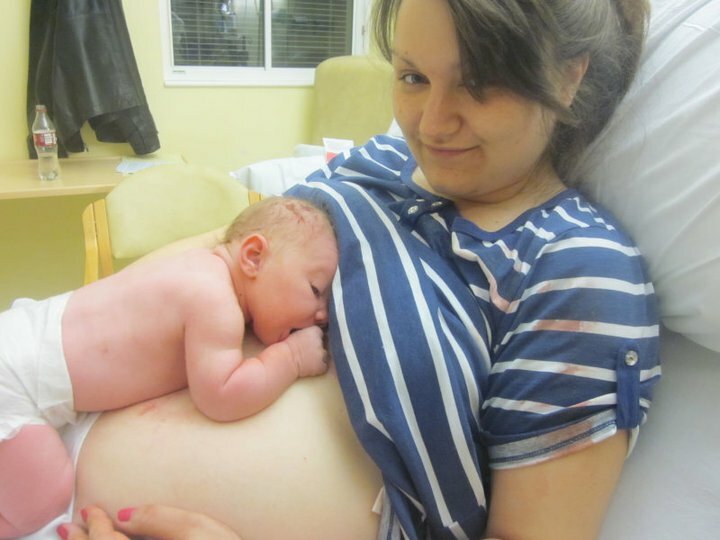 If you've had bad period pains, that's what first stage labour feels like, yea it hurts, but you can deal with it. It's hard work They don't call it "Labour" for nothing. Its worth it. feel free to leave your own tips in the comments!